Here are my free buttons for Thanksgiving! 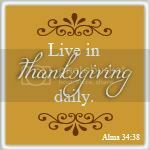 I loved Brooke's post over at The Crafting Chicks of her Thanksgiving canvas and banner. I especially love the scripture she used on her canvas found in Alma 34:38 in The Book of Mormon. 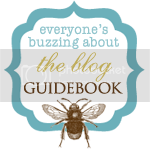 Her post inspired me to use it in some of my free buttons! 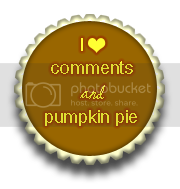 Who doesn't love comments and pumpkin pie? 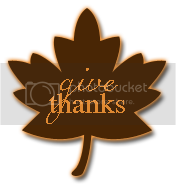 Here's one to remind us all to give thanks! 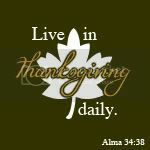 This last one is from my last free button post, but it still fits in the Thanksgiving category, so I added it to this post too! So lastly, a button to show how much your family means to you! Wow, I am in such a grateful mood all of a sudden! I hope you are too! 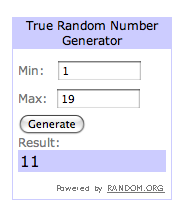 And now for the winner of the Leave a Little Love: Design Giveaway! 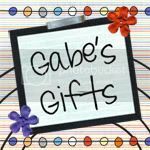 we'll get started on your design! Thanks for sharing the buttons! I looove the scripture used, as well. So perfect for this time of year!